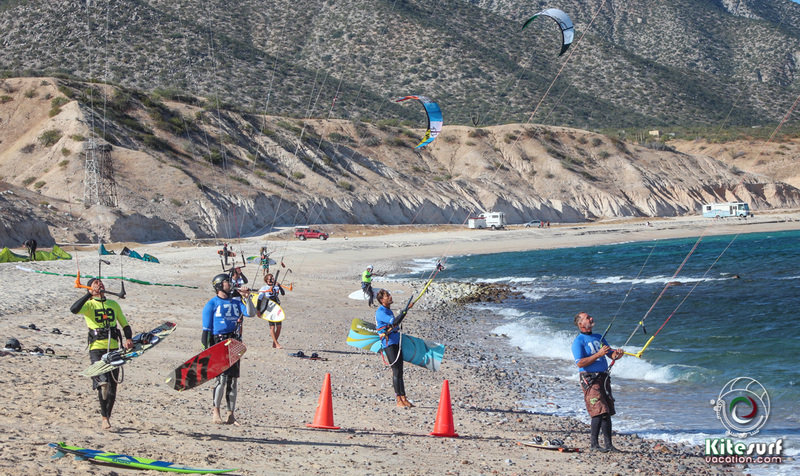 This is one reason why we love Mexico, the stunning landscape and beautiful coastlines. 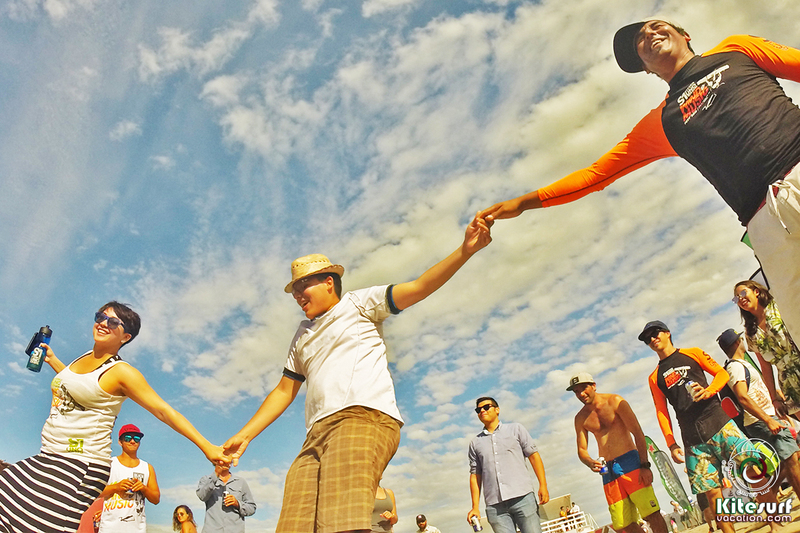 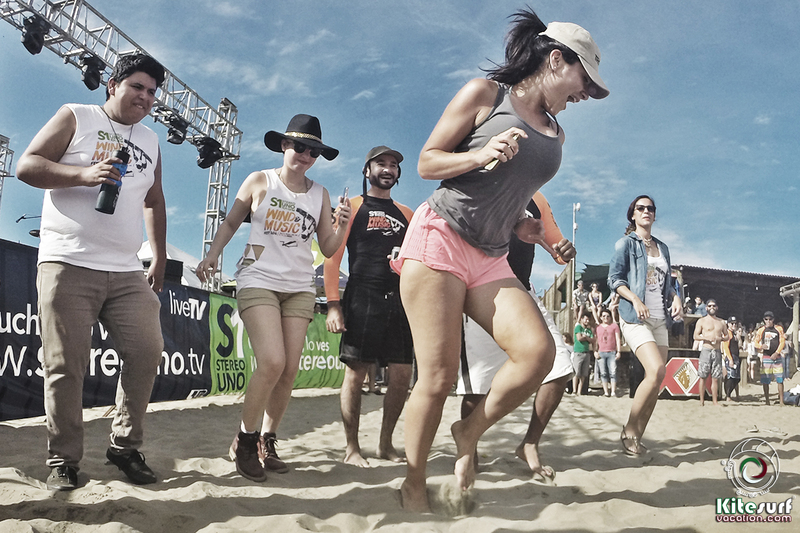 On the April 8th, 9th and 10th, the Wind and Music Festival was held on the amazing beaches of the Maviri in Sinaloa (15 km from Los Mochis). 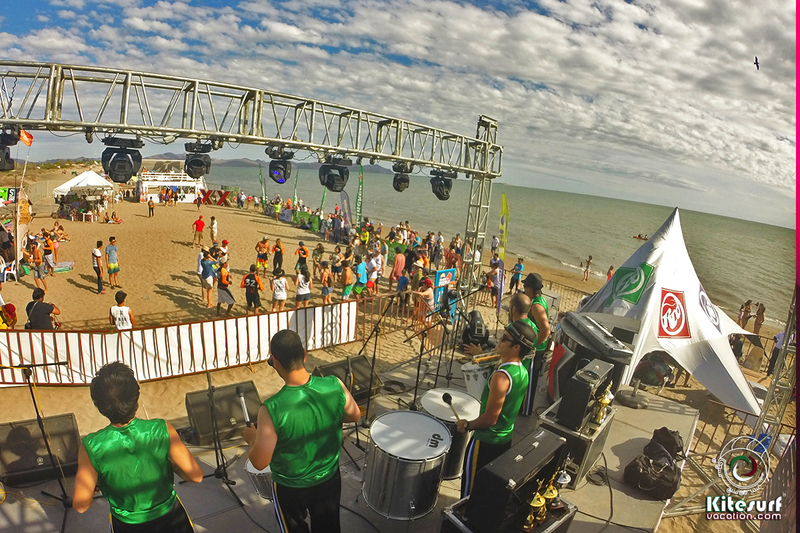 Live bands, dj’s, rock, regaee and brazilian music where part of the event.. 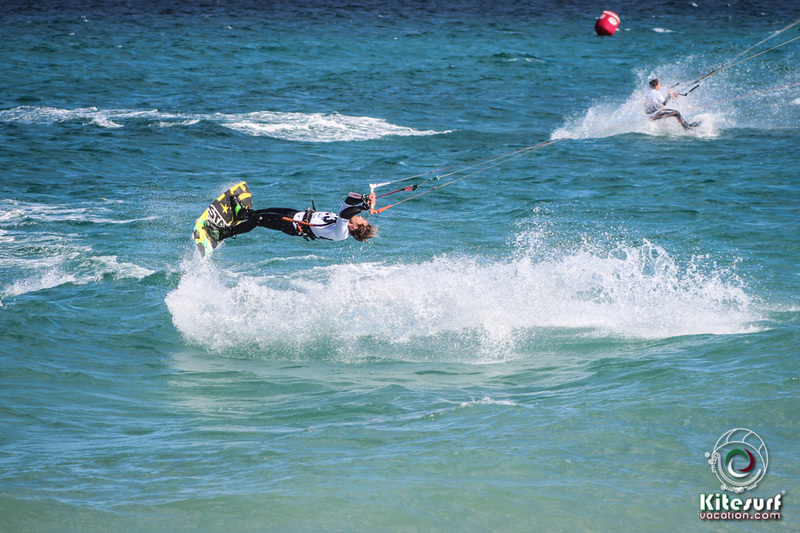 The competition was mainly Freestyle and a 3km race. 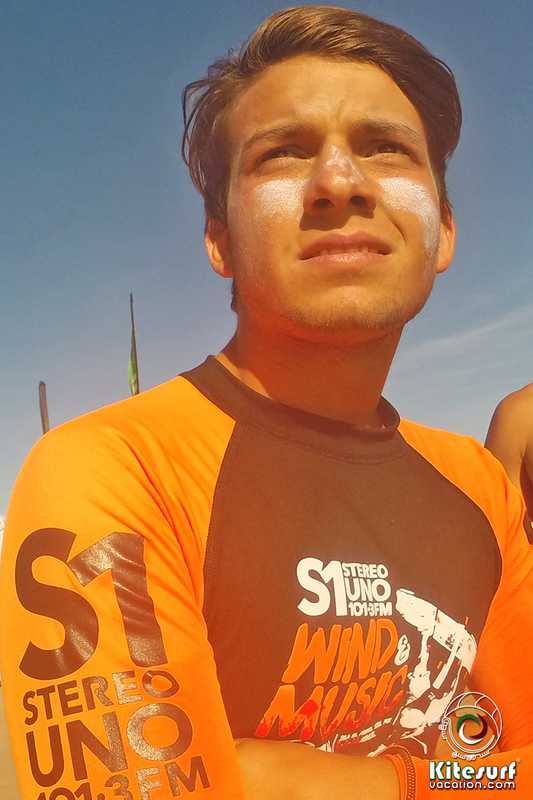 The wind was blowing between 12 to 15 knots all days but the last day at the final hit, the wind drop down. 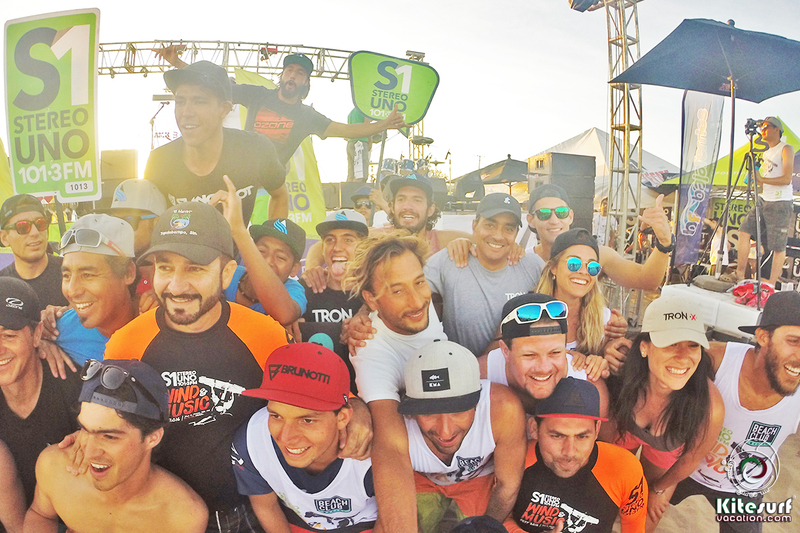 1st place- Luis Diego (La Ventana) 2nd place- Andrés Tapia (Guadalajara) 3rd place.- Juan Pablo Tron (Nuevo Vallarta). 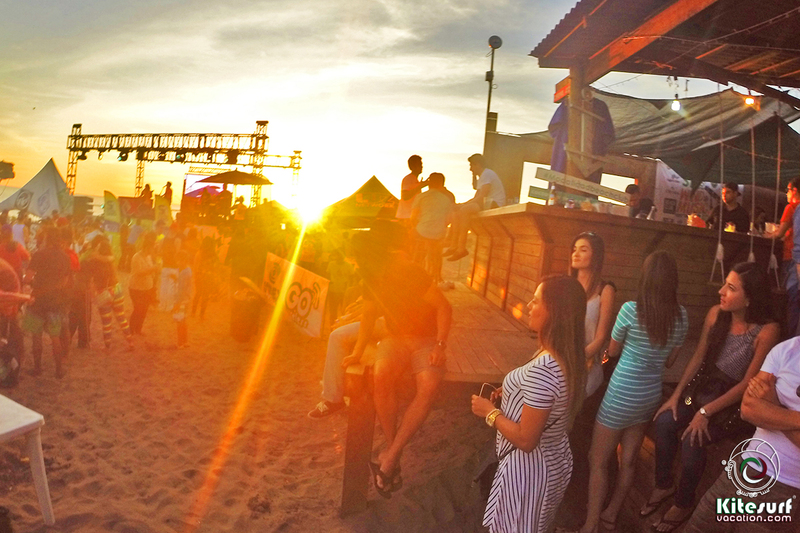 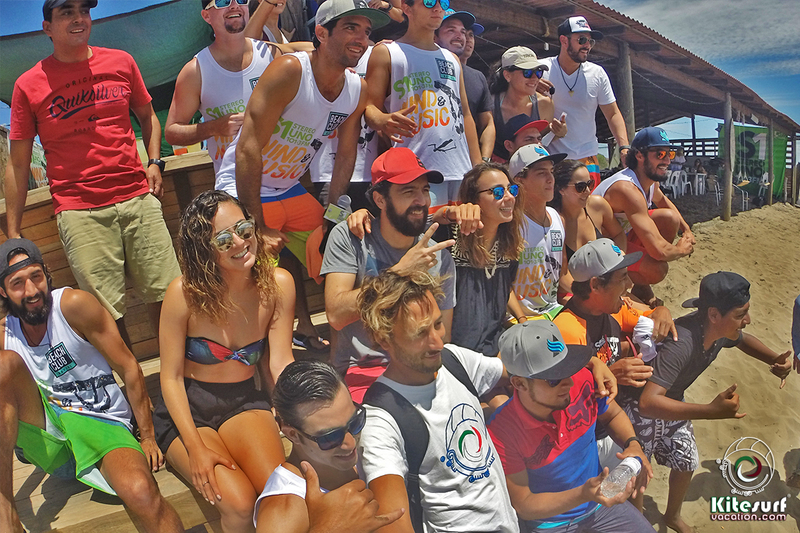 Thanks to the Beach Club Maviri, sponsors and organizers for this great event. 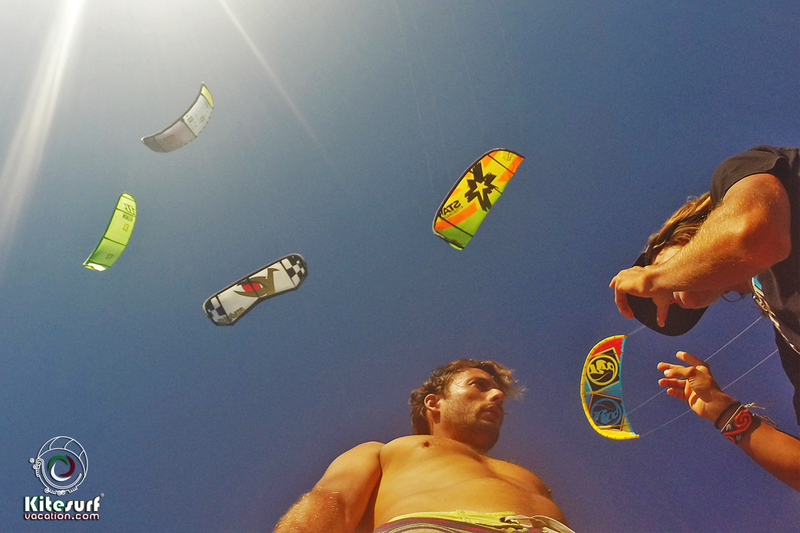 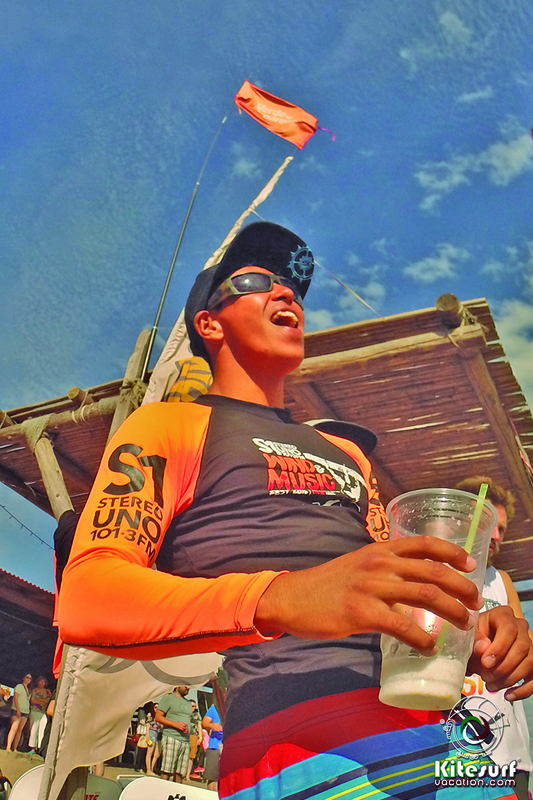 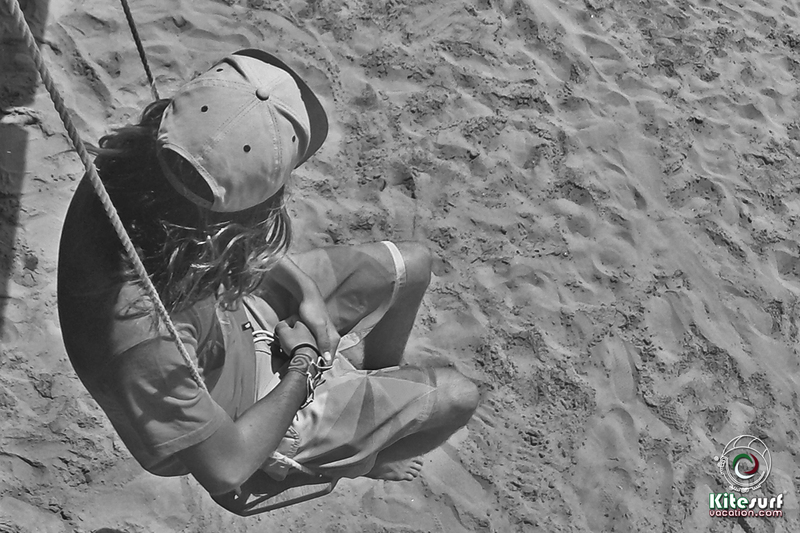 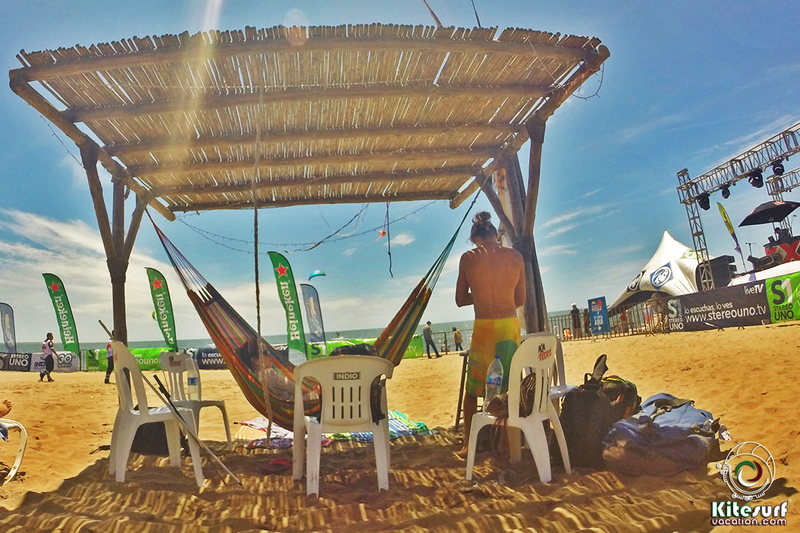 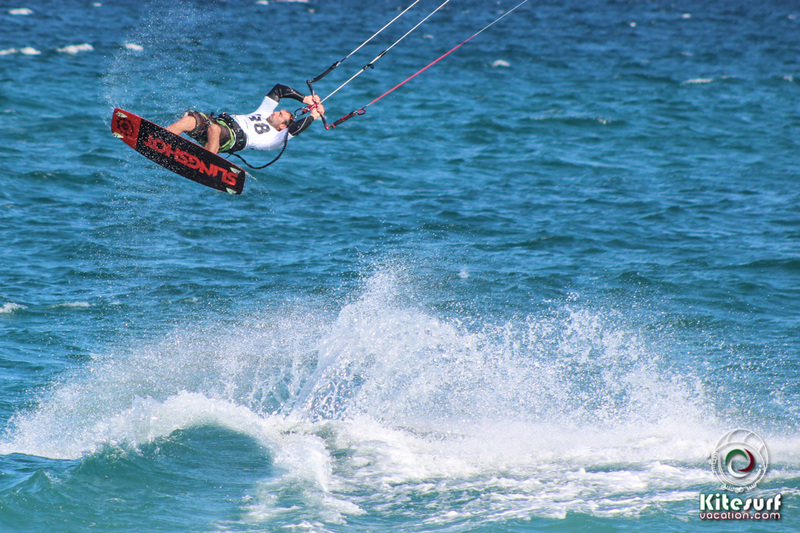 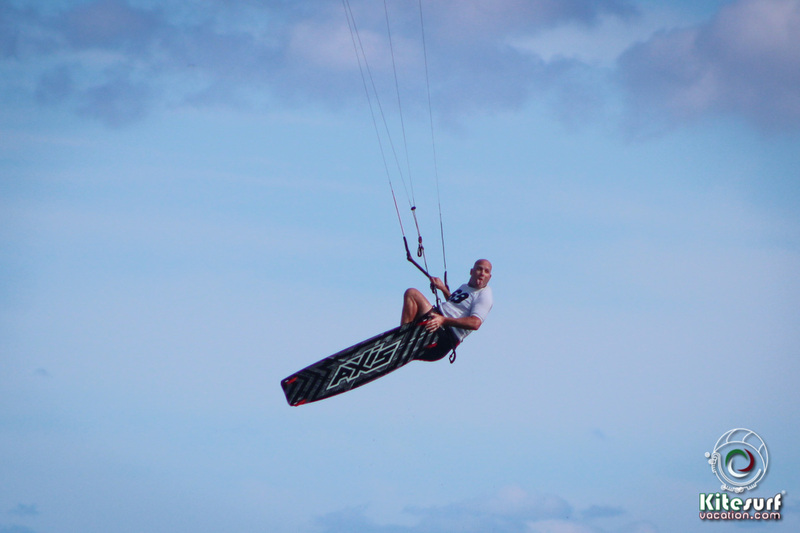 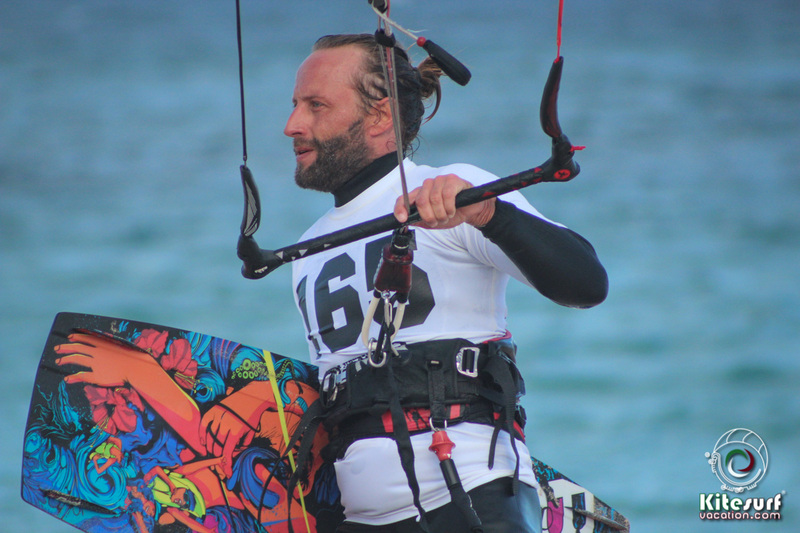 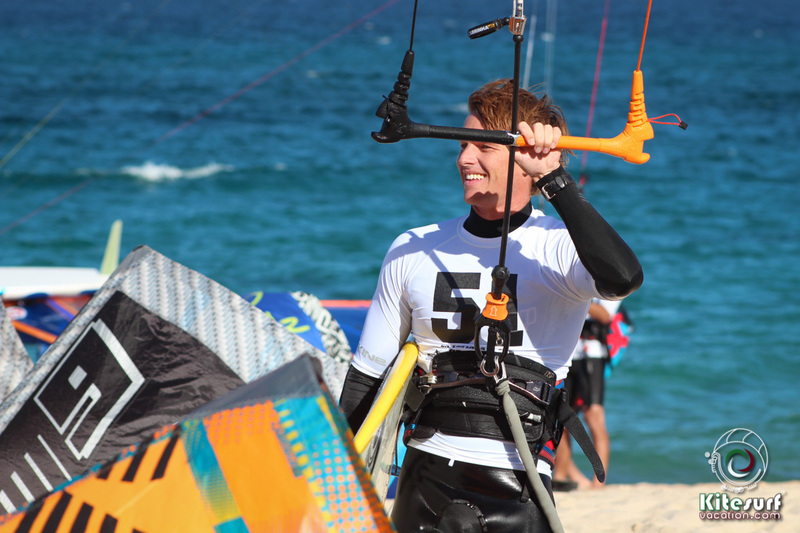 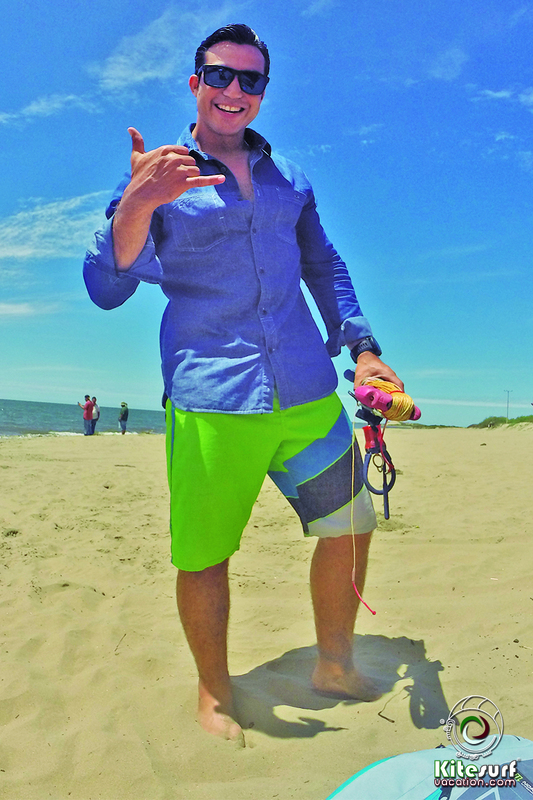 Our good friend Demetrio takes a time to relax while kiteboarding in Cancun. 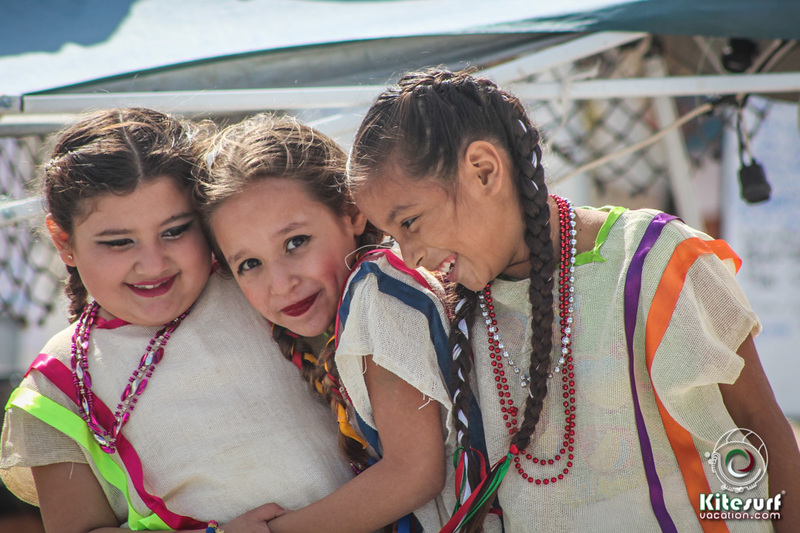 Come and join us in Mexico! 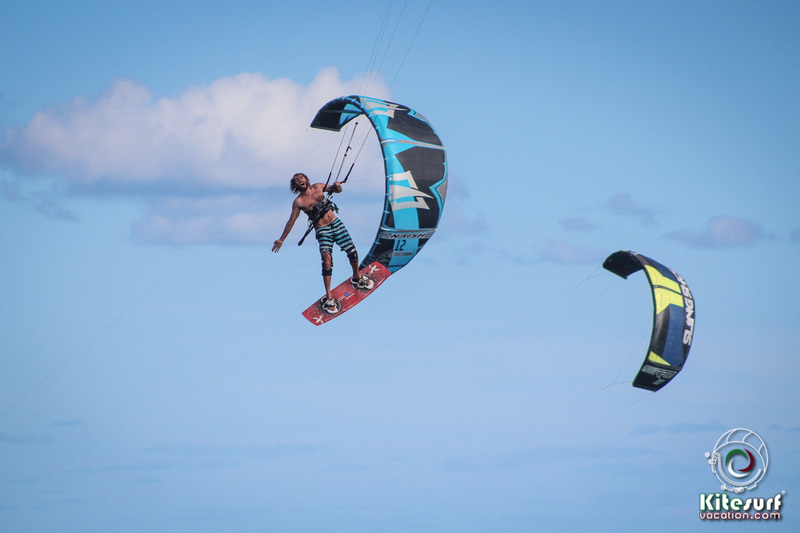 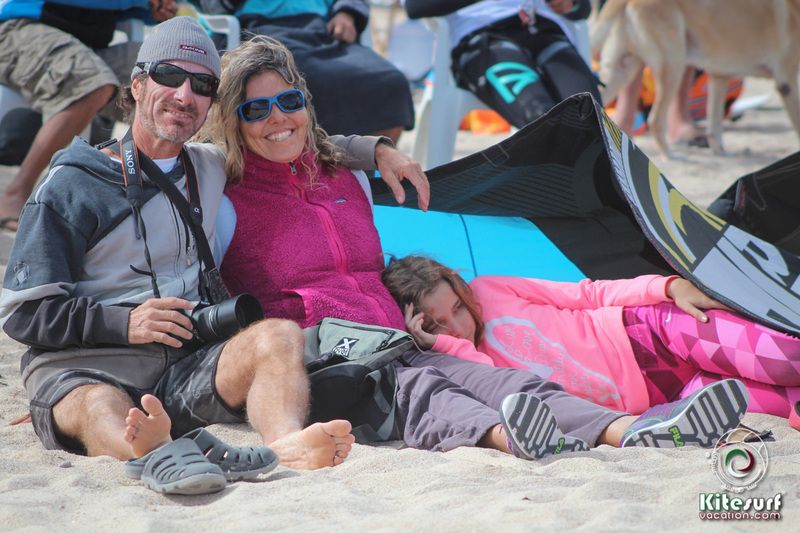 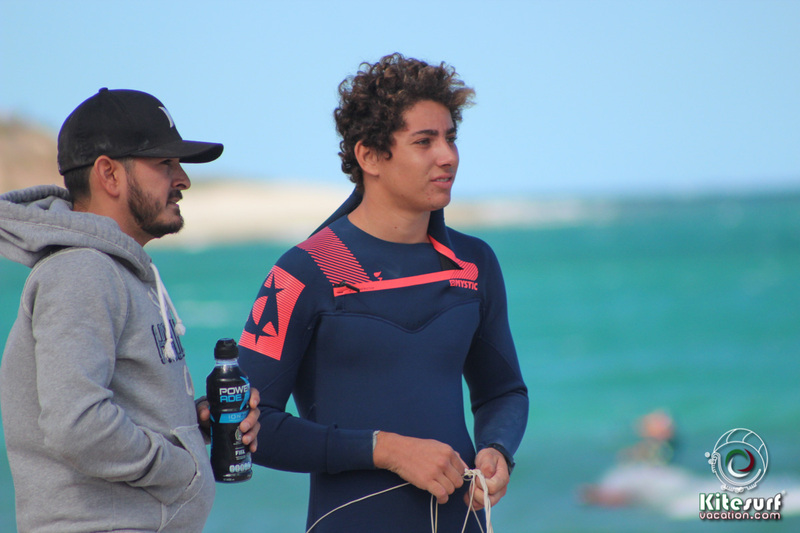 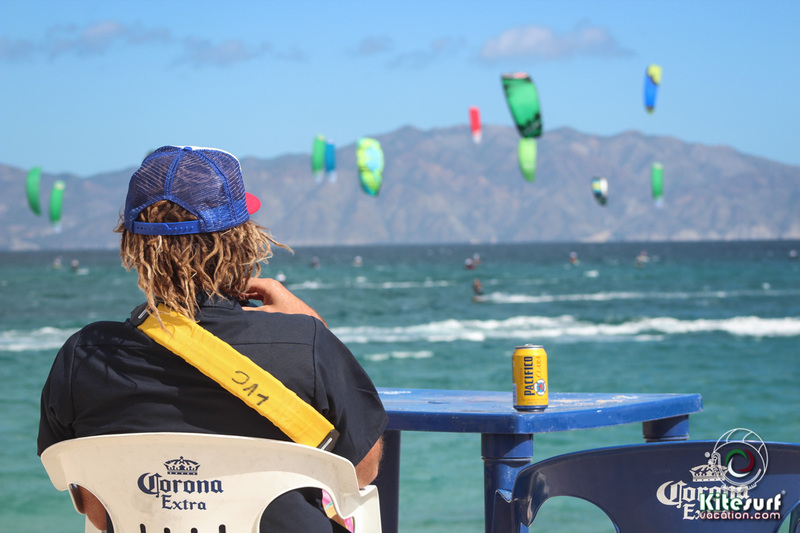 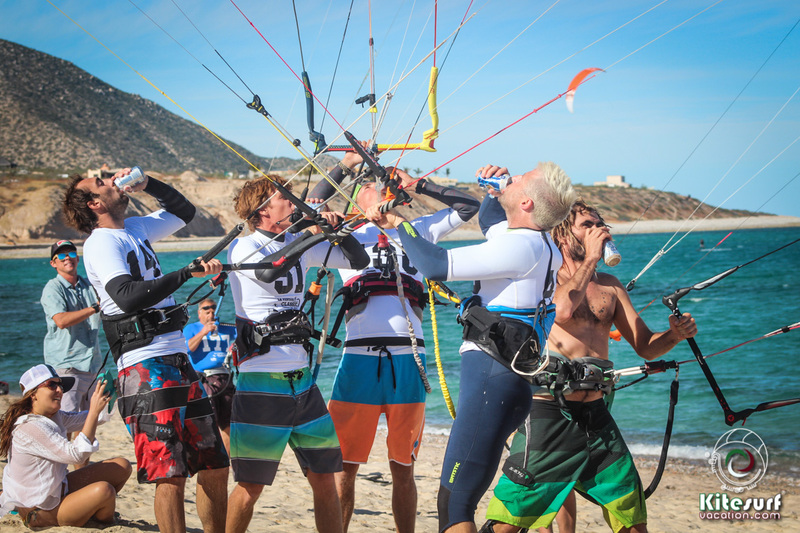 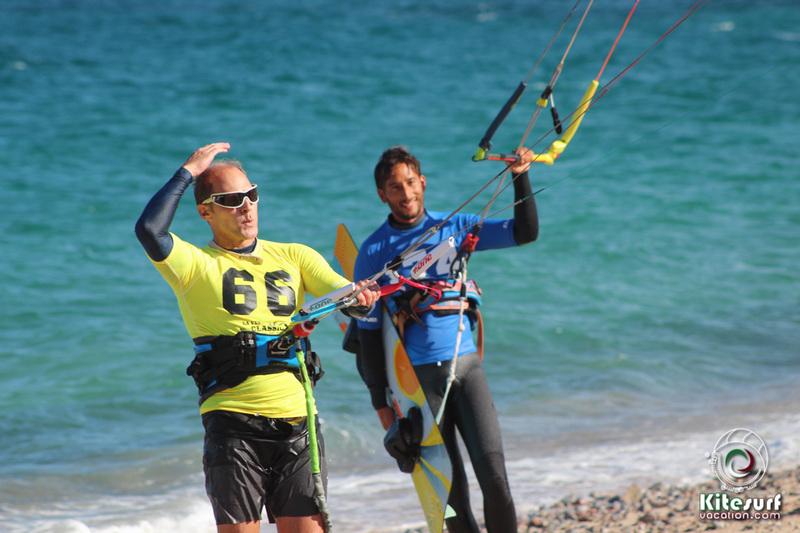 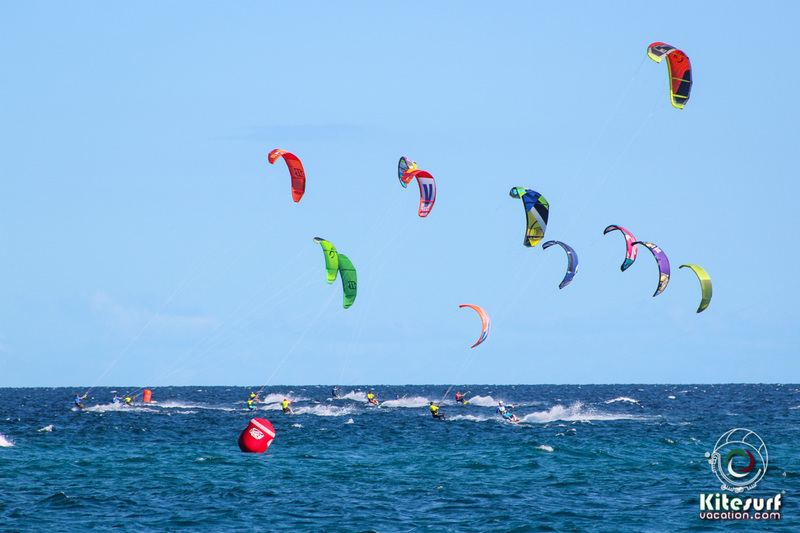 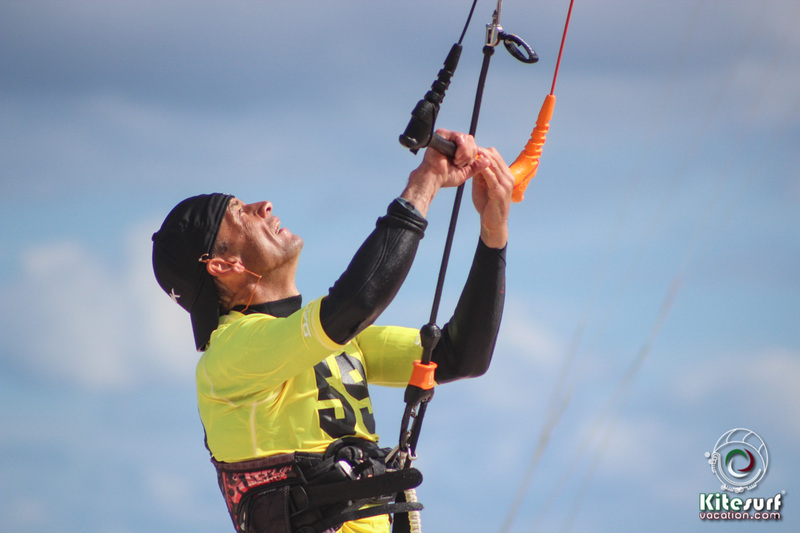 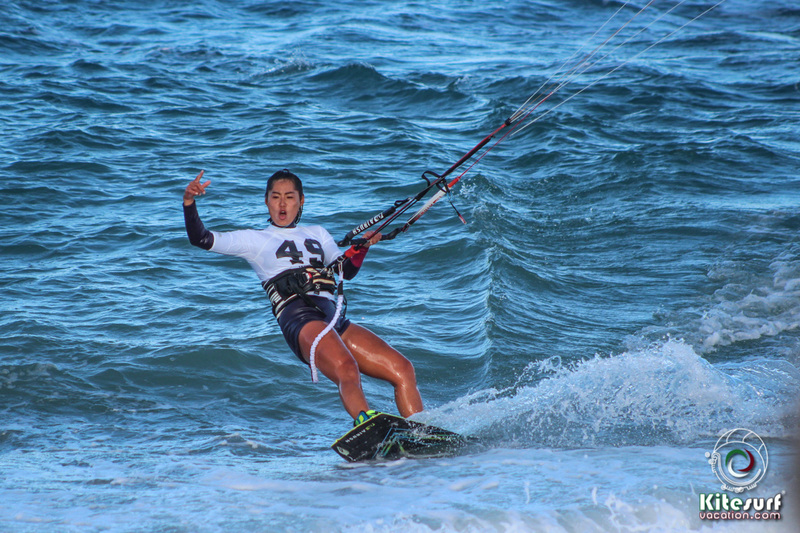 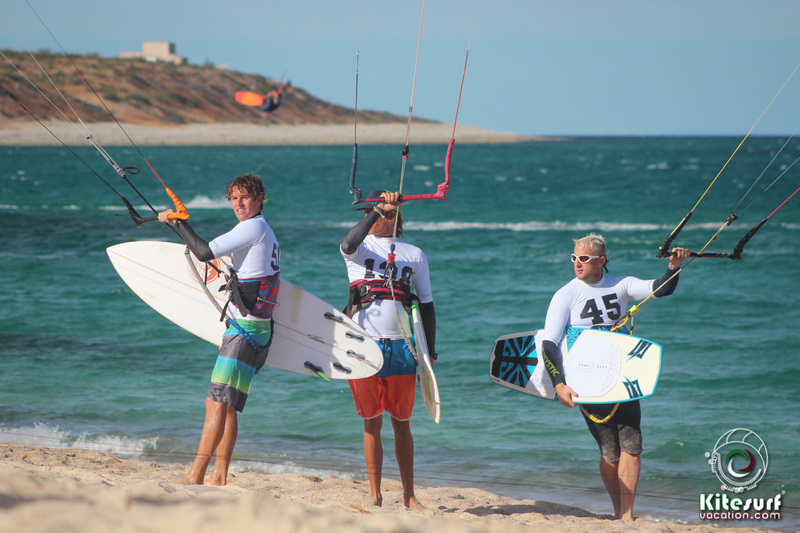 The ‘La Ventana Classic 2016’ brought kiteboarders, windsurfers, SUPers and spectators from all over the world together to enjoy an amazing kiteboarding event. 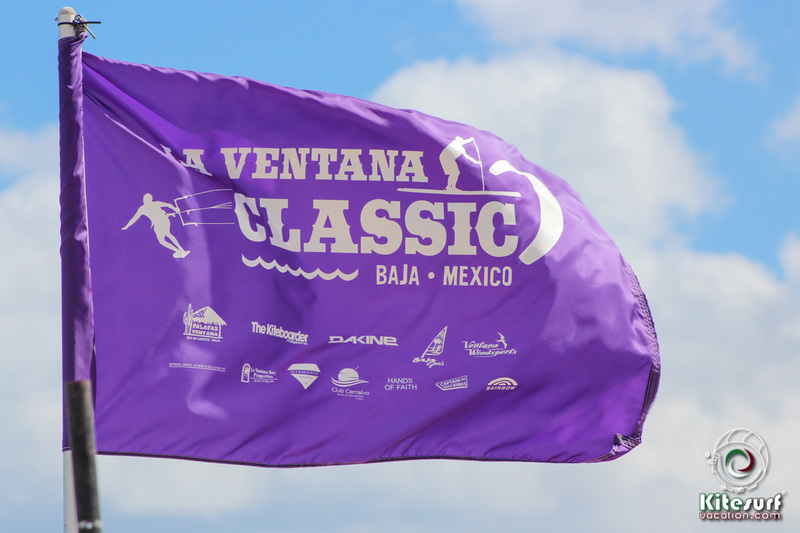 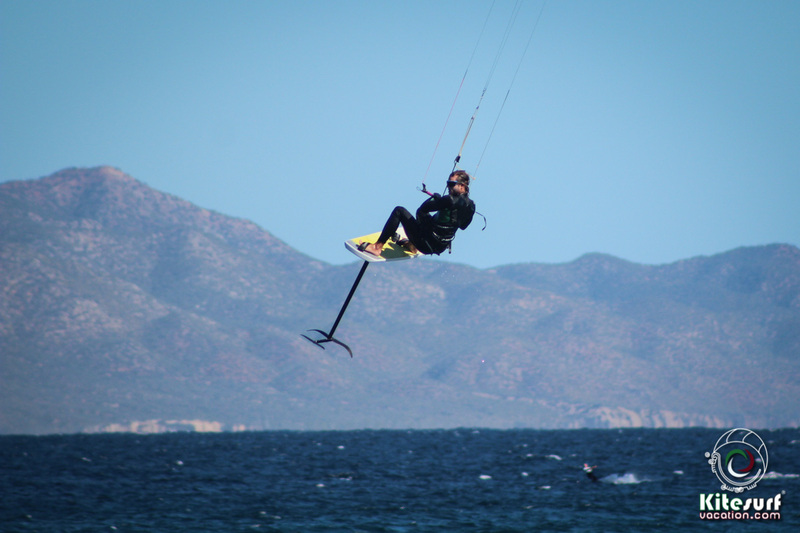 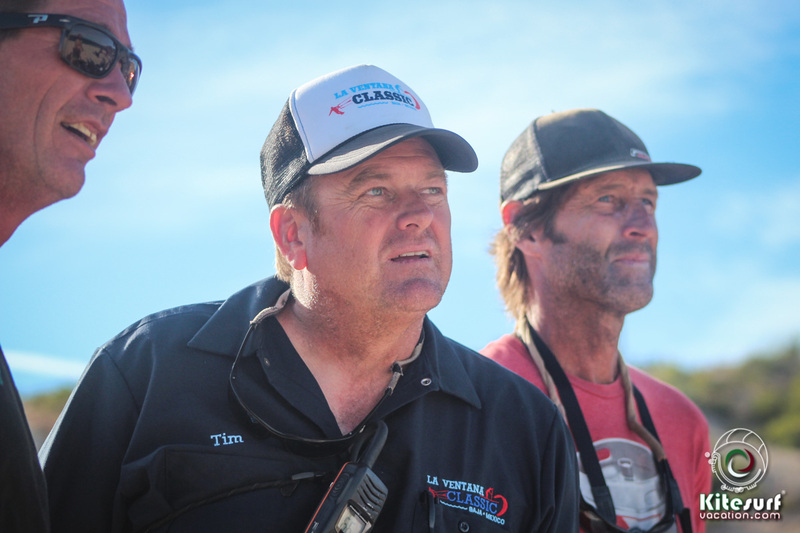 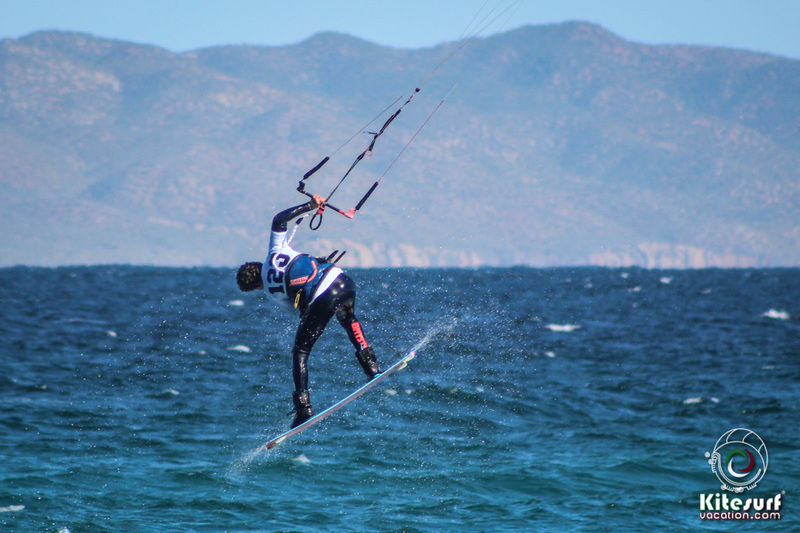 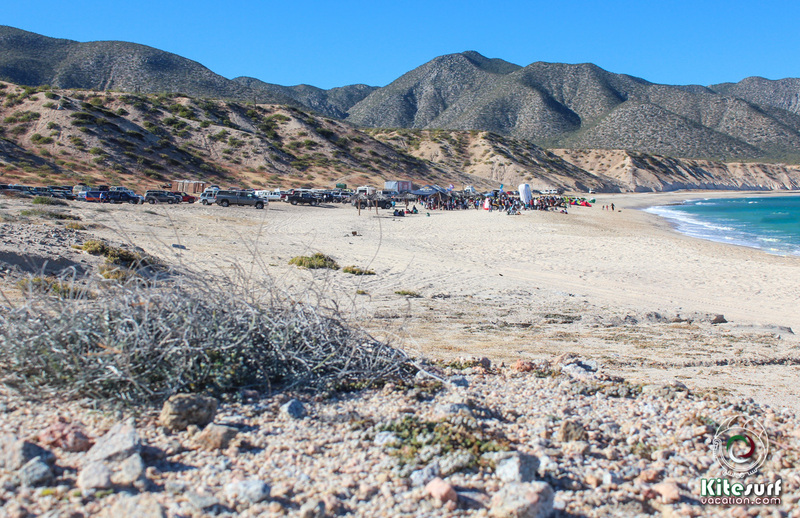 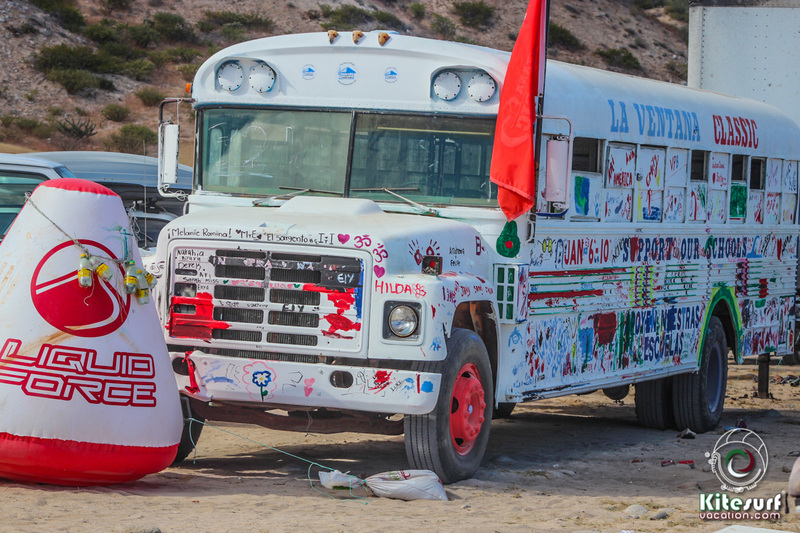 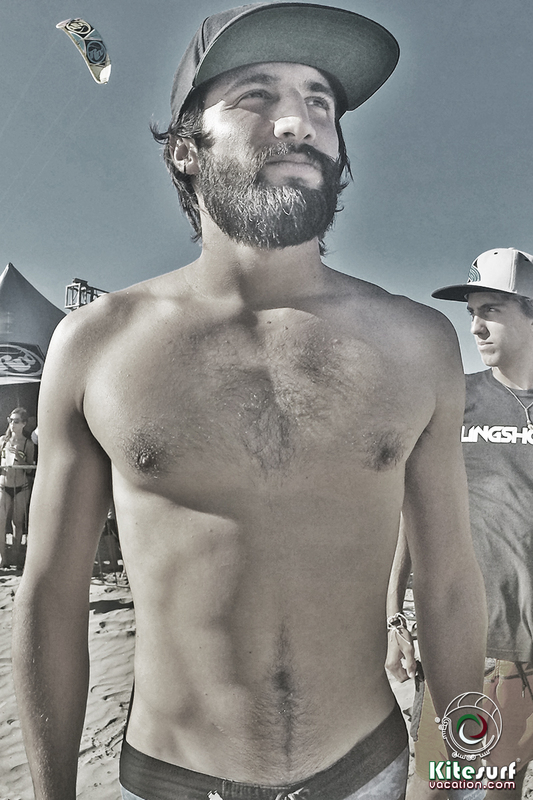 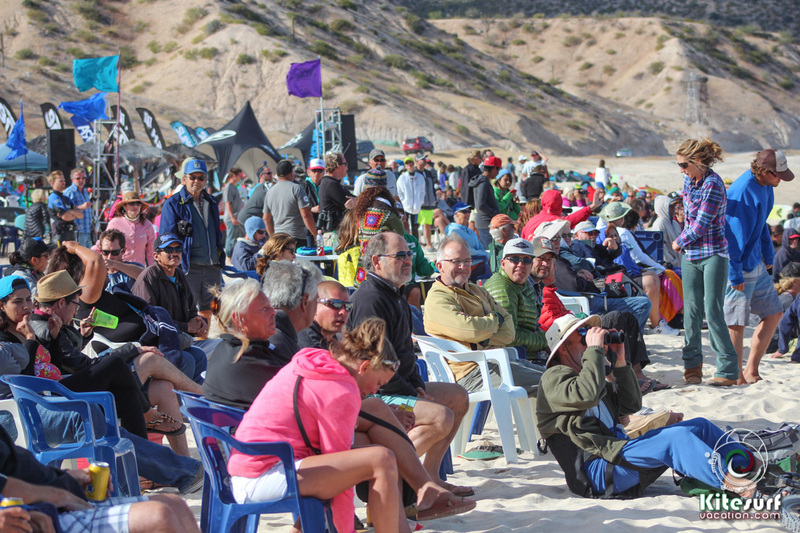 The La Ventana Classic was held in windy La Ventana, Baja California Sur, Mexico. 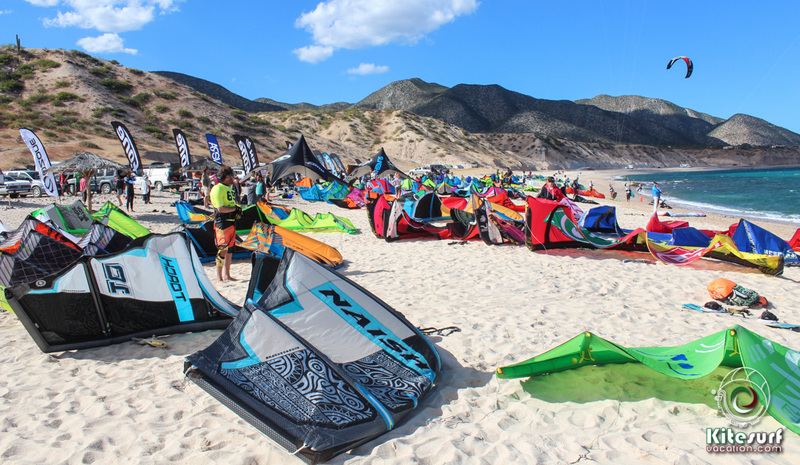 Tim Hatler of ‘Palapas Ventana‘ and Marina Chang of ‘The Kiteboarder Magazine‘ organised this fun event to fundraise money to help local kids in the area to continue their education. 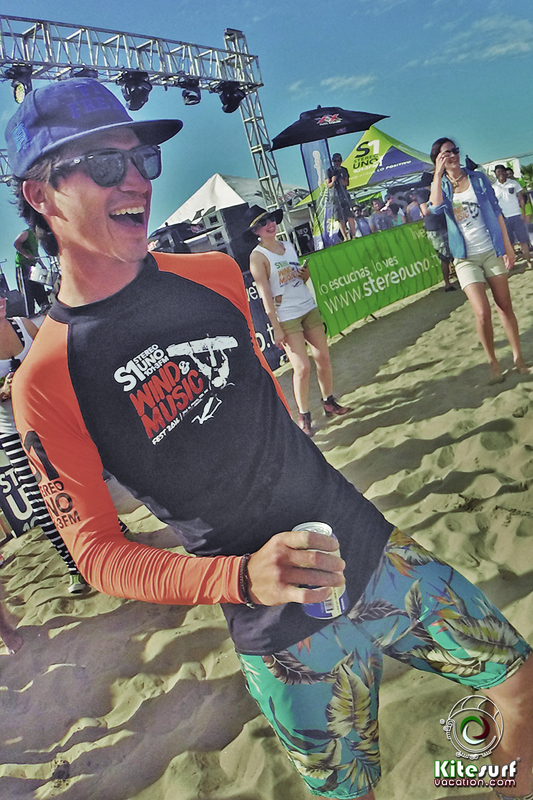 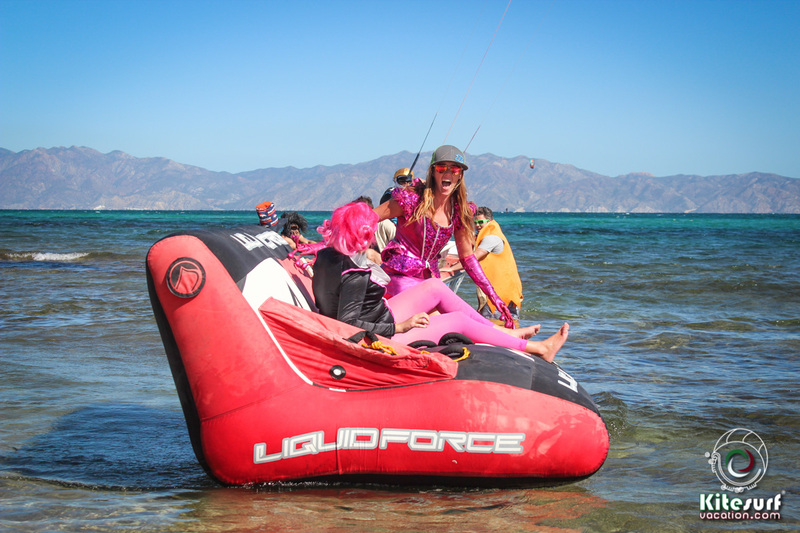 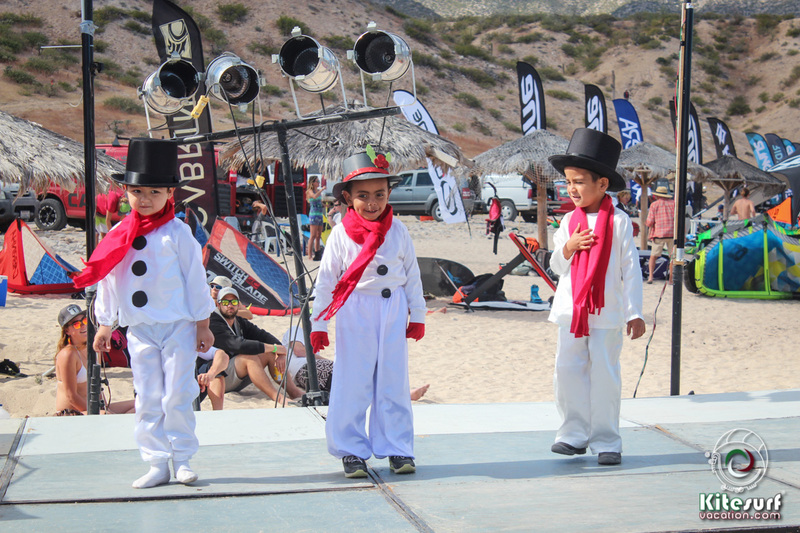 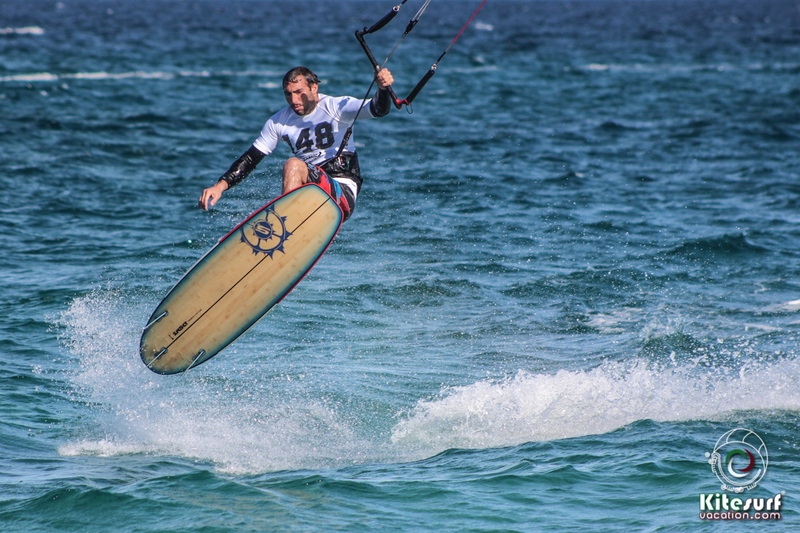 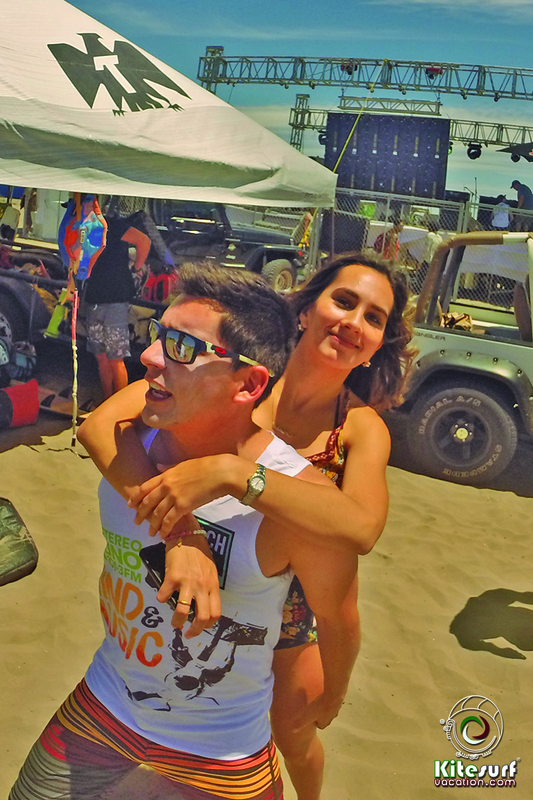 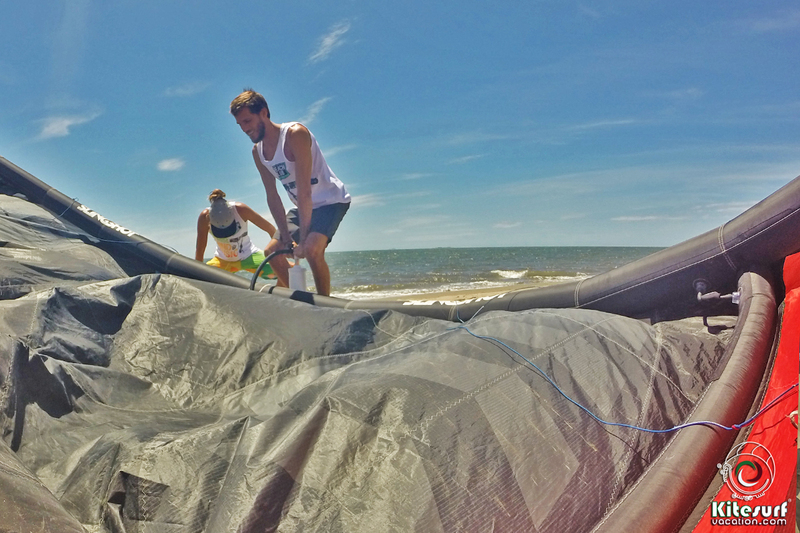 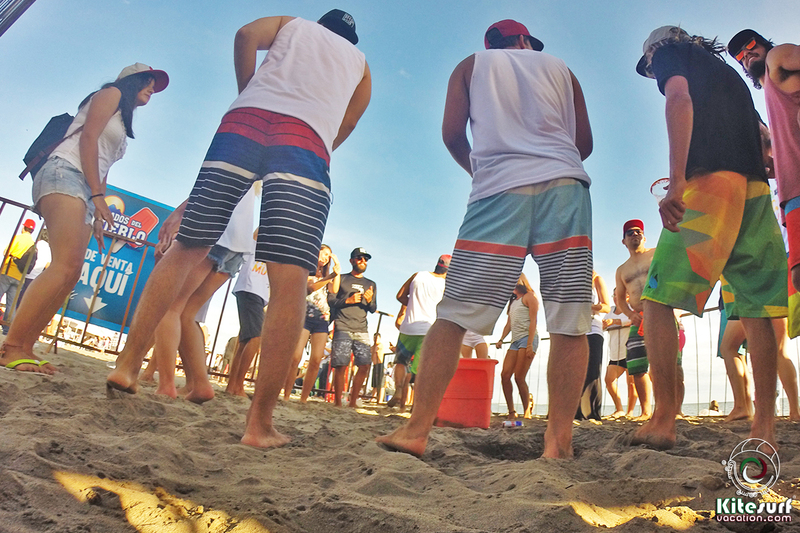 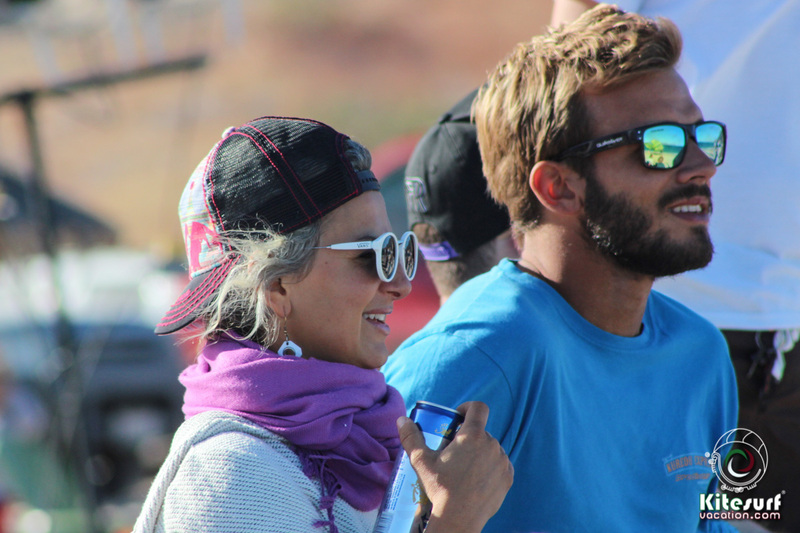 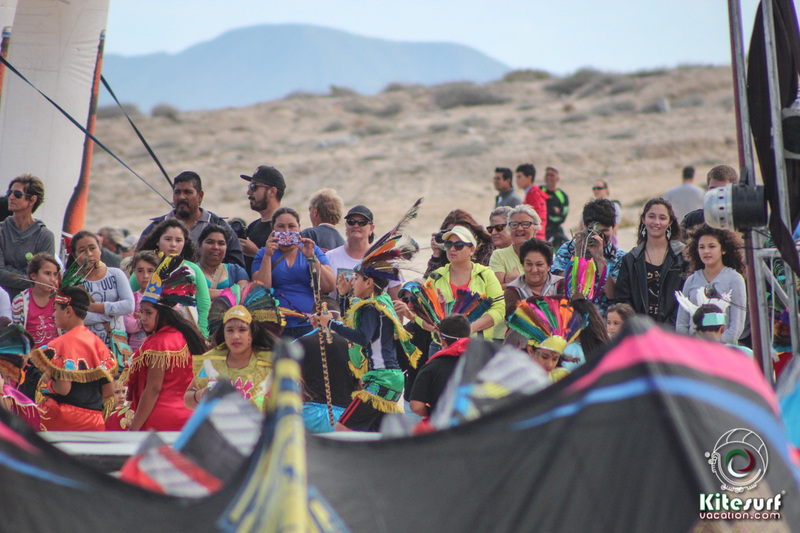 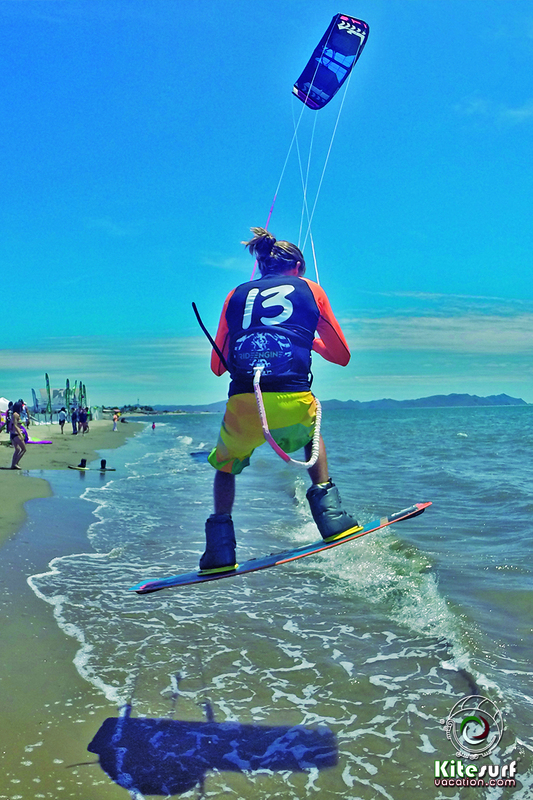 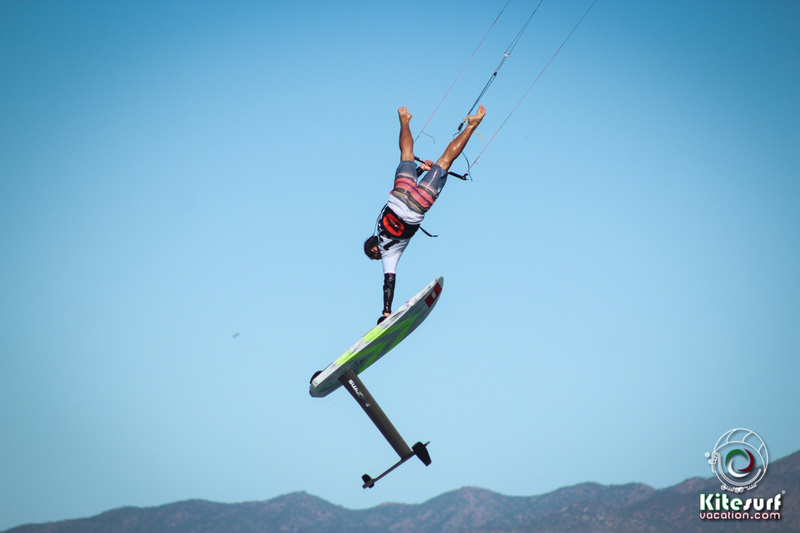 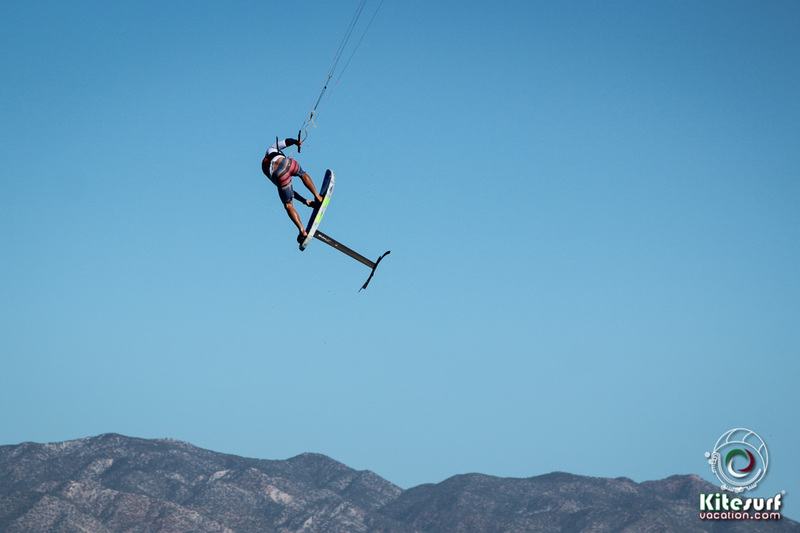 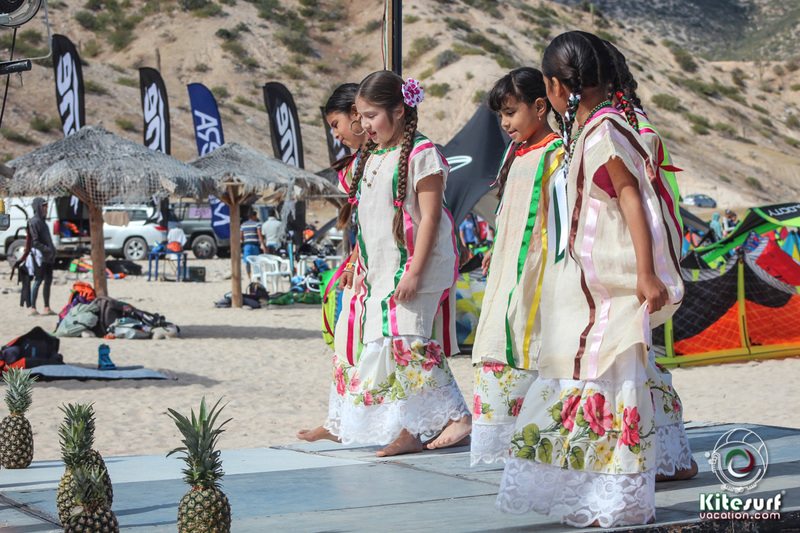 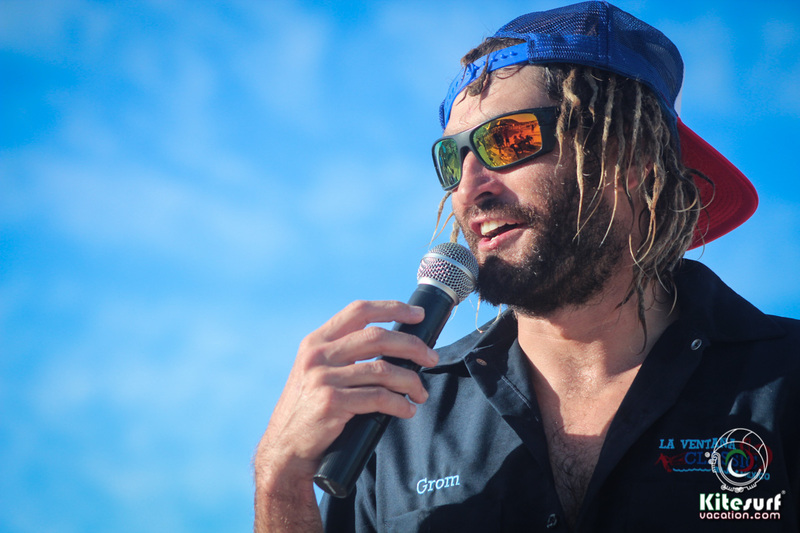 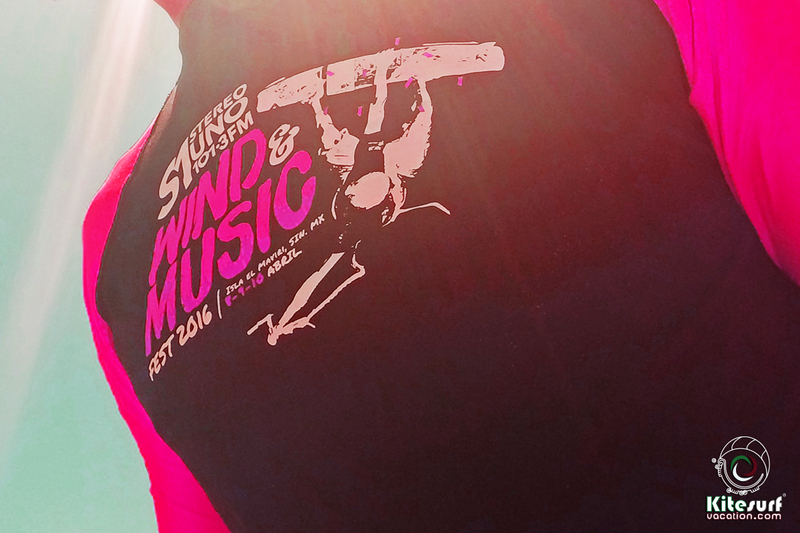 The kiteboarding event was filled with long distance races, big air, freestyle, course racing, foiling, SUP events, gear expo with all the major brands, dance performances by local kids, parties, bands and lots of fun under the Baja Sun! 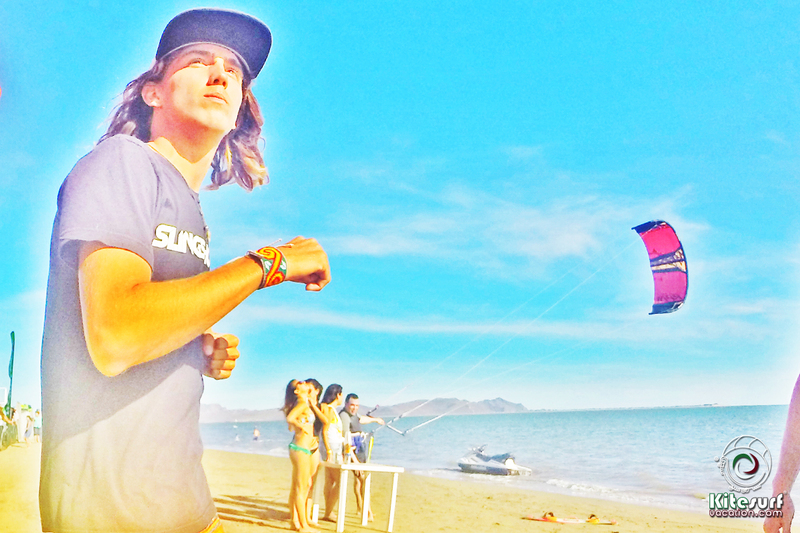 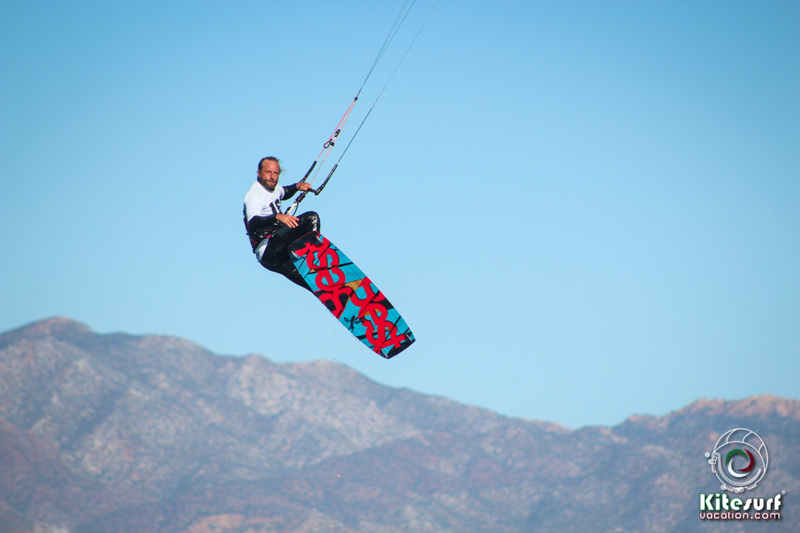 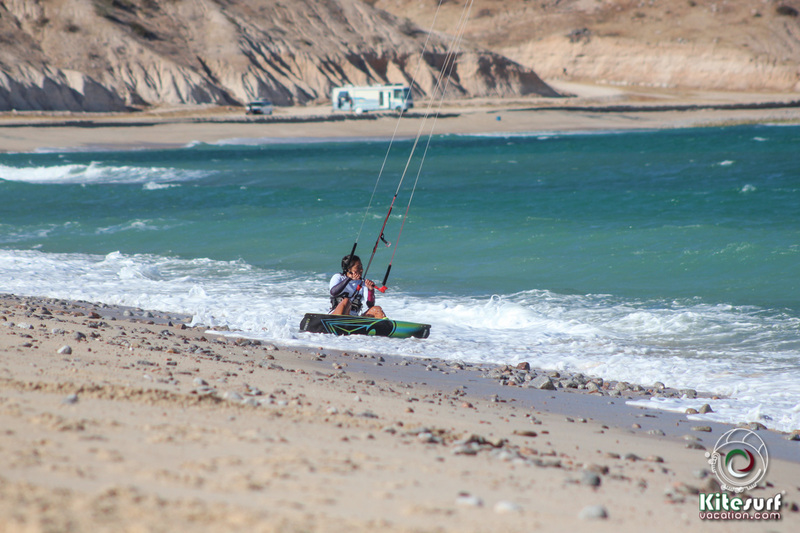 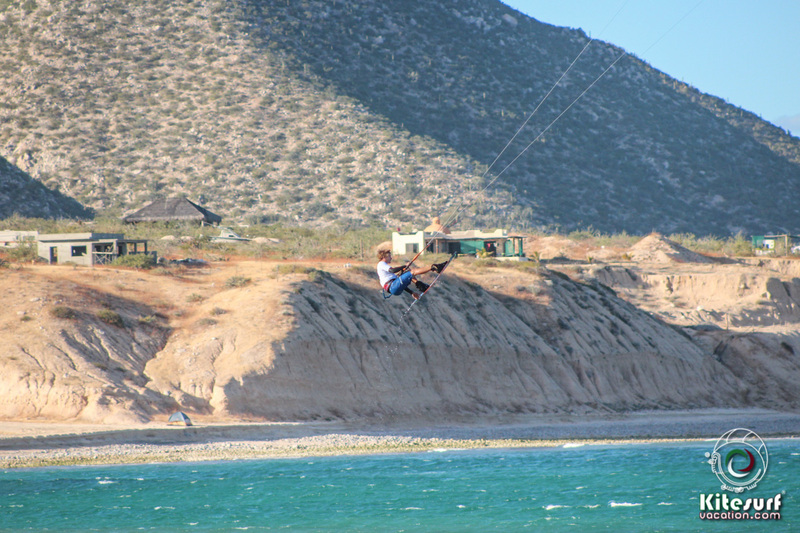 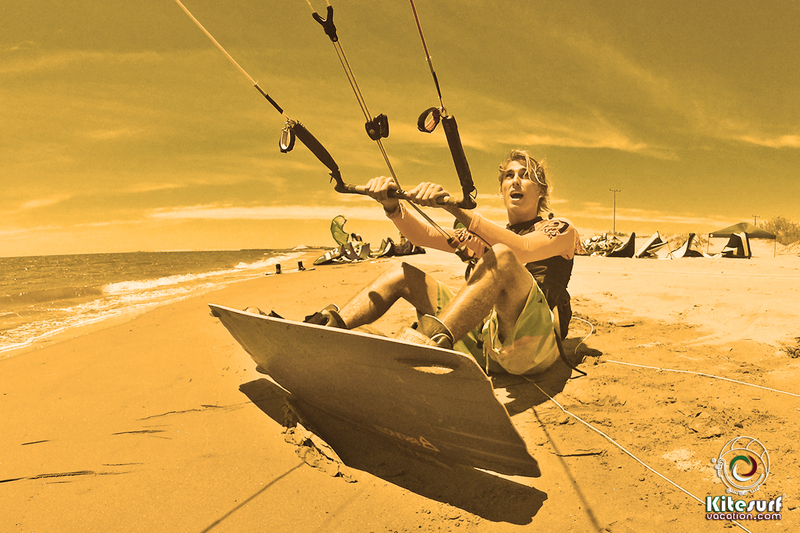 Kite Travel Package La Ventana, Baja California Sur, Mexico. 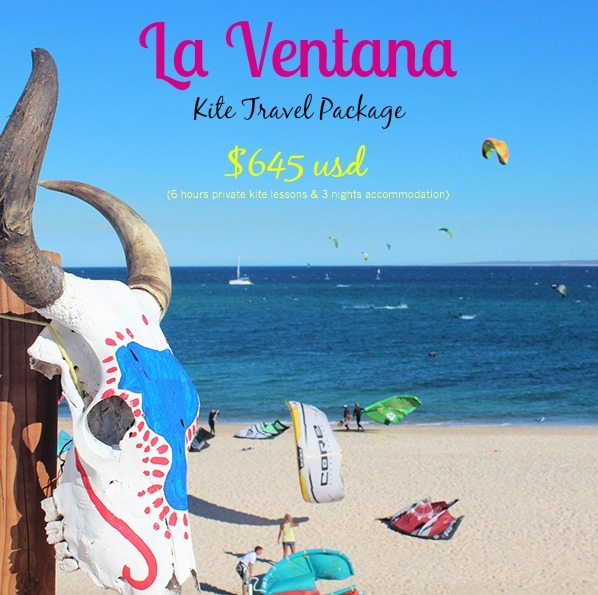 Book your Kite Travel Package for ‪La Ventana, Baja California Sur, Mexico! 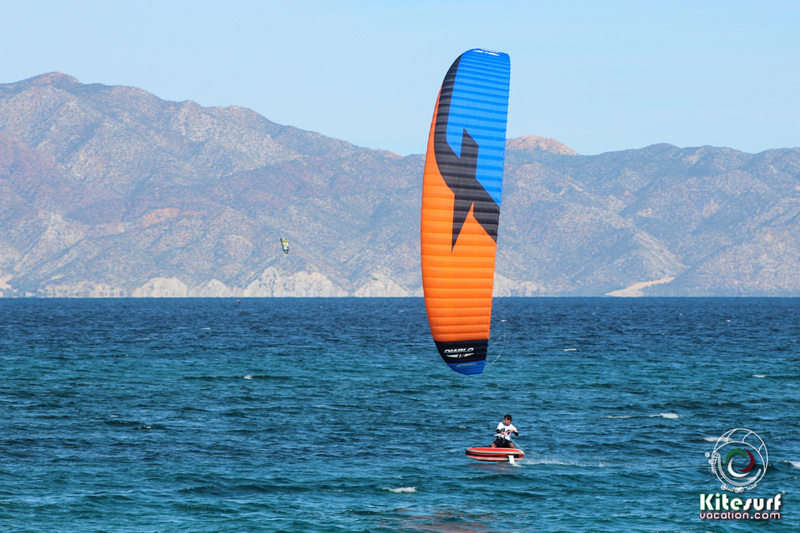 The package includes 6 hours private kitelessons and 3 nights accommodation! 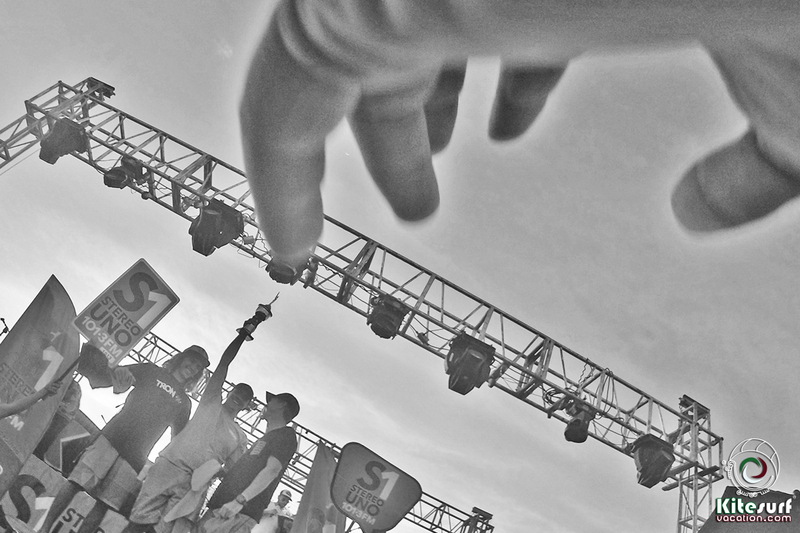 Contact us for more info & booking!